We had a gathering of food bloggers that came together to eat food (because that’s what we do). Not just any meal though, we got to sample food from a restaurant that is not even established yet. You see the dinner we had is from a restaurant that is still in the beginning process of becoming reality. I loved sitting down with, Dave, the brains behind Farmers Revival and hearing the story about how this all came about. How he wants to create really, really good food that is incredibly healthy and yet fast. The passion that he shared with us was exhilarating. This is a well thought out plan and a great idea. I had read all about it, now I was able to hear it from him face to face and really experience his desire to be part of the Portland restaurant scene. The true test was going to be in the salad, and that’s why we were all gathered together. He started off by sharing his vegan Minestrone. It was loaded with many veggies and had incredible flavor. 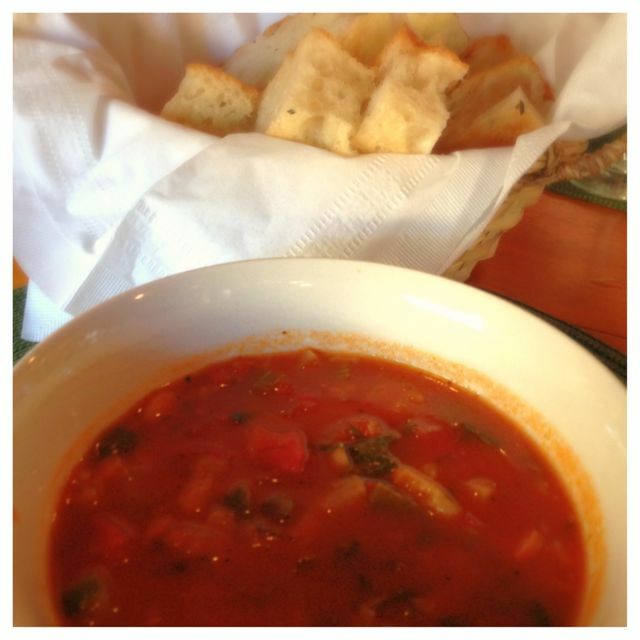 Even with the temps hitting 90’s today, the soup really did hit the spot. It was served with some very yummy crusty bread, that I just couldn’t get enough of. 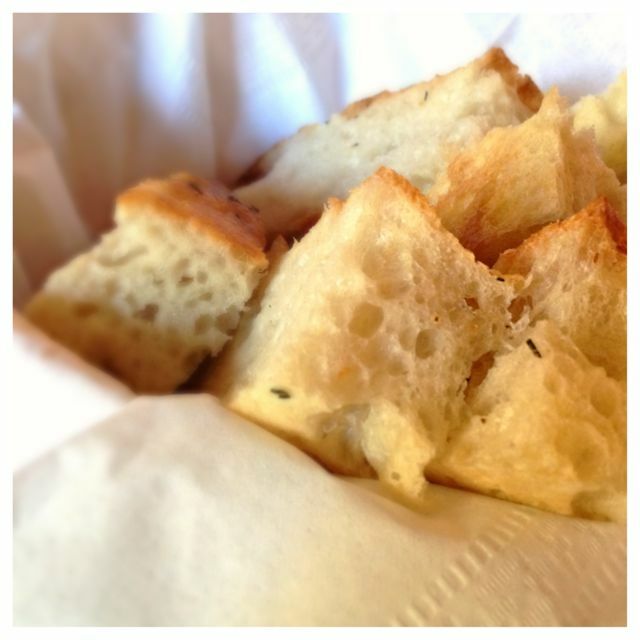 Great bread, perfect for dipping in the soup or accompaniment to a great salad. Then out came the star of the evening… the Indian curry salad. 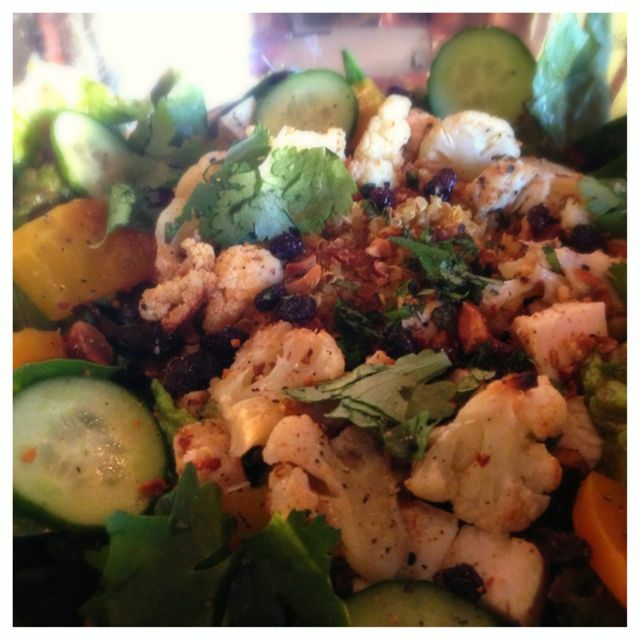 This salad was loaded with everything that I love. The more I dug through the happier I got. There were beets, chickpeas, cauliflower, quinoa and so much more. Every bite was a festival of flavors happening in your mouth. 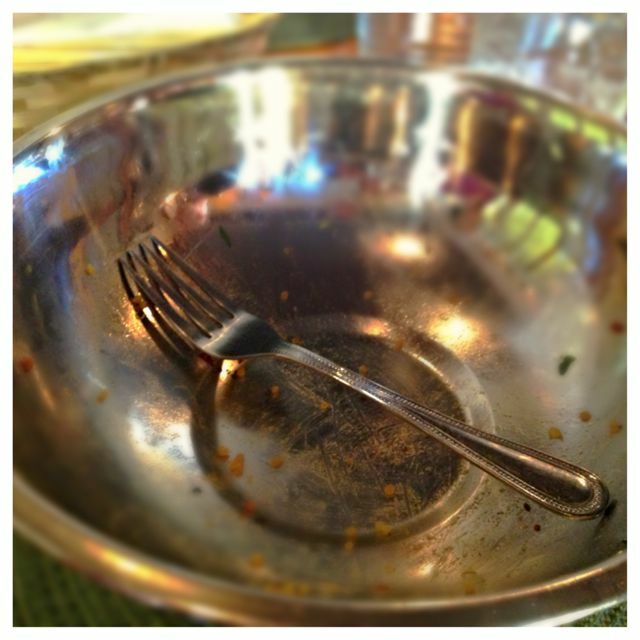 It was probably one of the most satisfying salads I have had in quite some time. Now, that’s saying a lot for a salad. You must be wondering how true that statement really is? But I’m telling you, it was that amazing. He was also sharing how he made the dressing from scratch all the way down to roasting the spices. So much attention to detail in this salad. As you can imagine it was fun to sit with the other foodies and talk about how we were impressed with the amount of flavor coming out of this one dish. Here’s the sad news. You just have to trust me with this salad because it’s not yet a reality. Dave is in the process of raising enough money on Kickstarter to open up his business. Take a time to check out his videos and his whole Kickstarter campaign. Follow him on Facebook so you can see how he’s progressing and when we might actually get to visit this someday establishment. Until then, I am going to wish and hope for this place to open up. I don’t want that to be my last empty bowl.